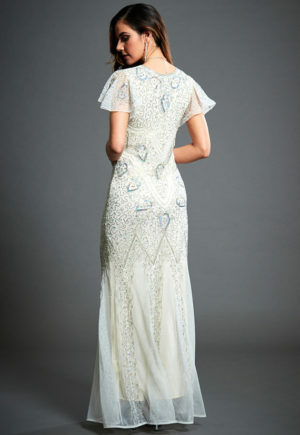 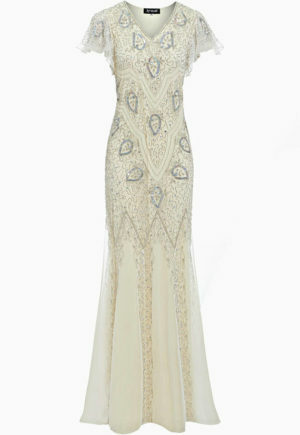 An elegant long 1920s Gatsby inspired dress, with sheer floaty cap sleeves. 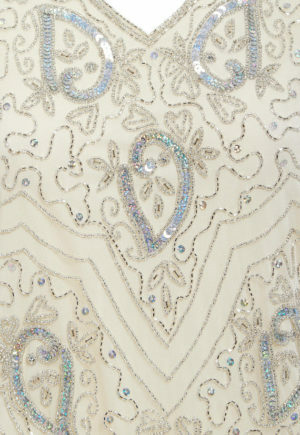 Made to flatter with a curve-skimming design which flows into a dramatic fishtail hem, this full-length dress is exquisitely embellished with shimmering silver beads and sequins for a showstopping look. 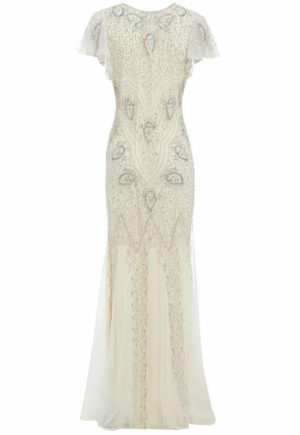 Molly is your ticket to Old Hollywood style elegance, so don’t hesistate, make it yours forever today!